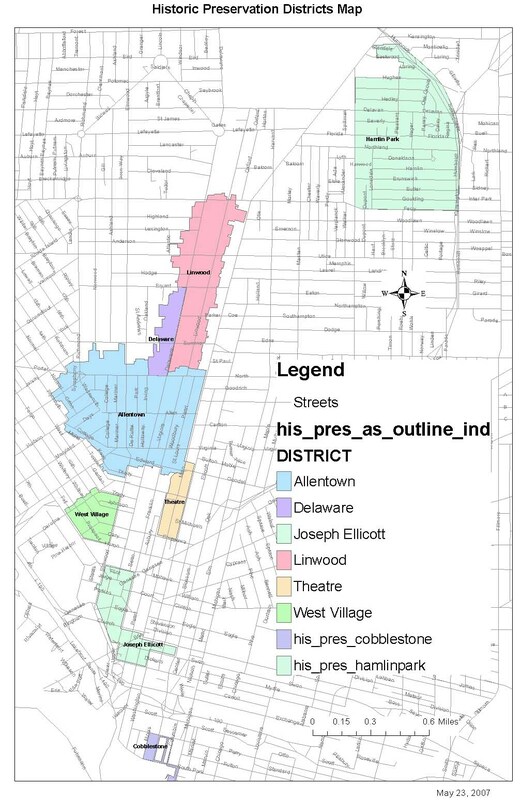 A Designated Local Preservation District, approved December 15, 1998, Common Council Proceedings Item No. 93. 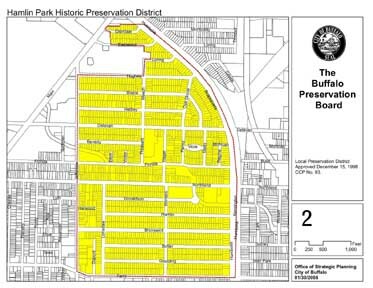 All exterior construction, reconstruction, demolition, or redevelopment work to be performed on any structure or site within the Hamlin Park Historic Preservation District must be undertaken in conformance with the Preservation Standards and Project Review Procedures, as defined in Chapter 337 of the Charter and Ordinance of the City of Buffalo, New York, as administered by the City of Buffalo Preservation Board. 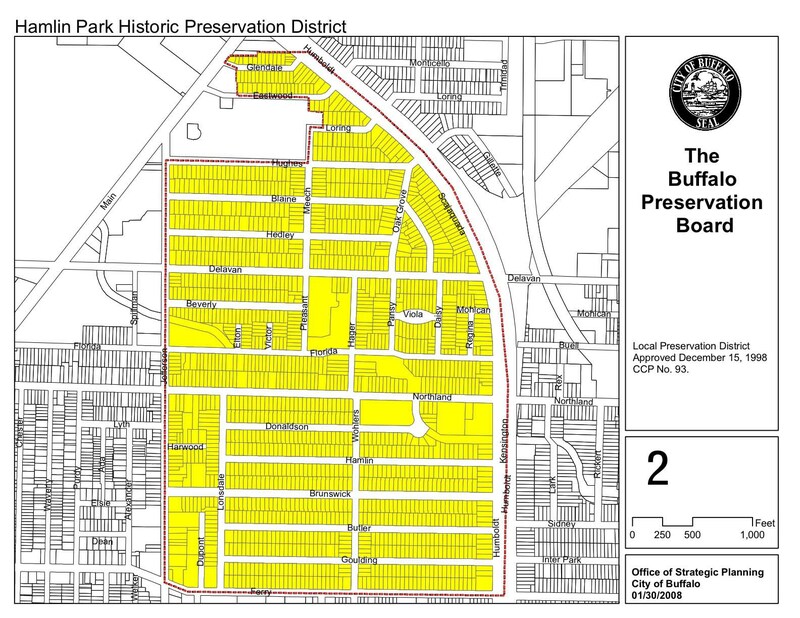 Special thanks to the City of Buffalo Preservation Board for their assistance.